Note: Track 06 is only available on the cassette version. 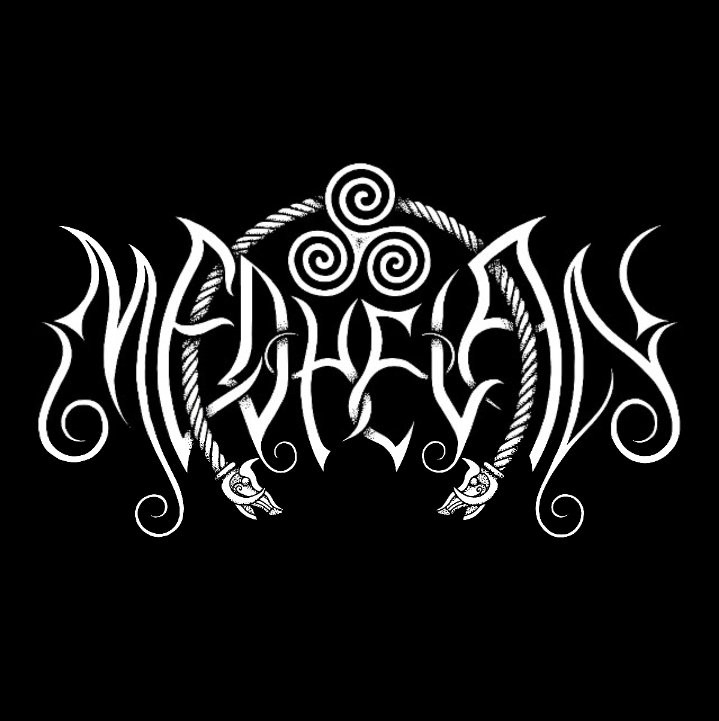 Matteo Brusa, the man behind Medhelan, has been slowly solidifying himself as a force within the dungeon synth and dark ambient genres over the last few years. While Brusa’s first release only came about in 2015, we shall see that the lead up to these releases have been years in the making. 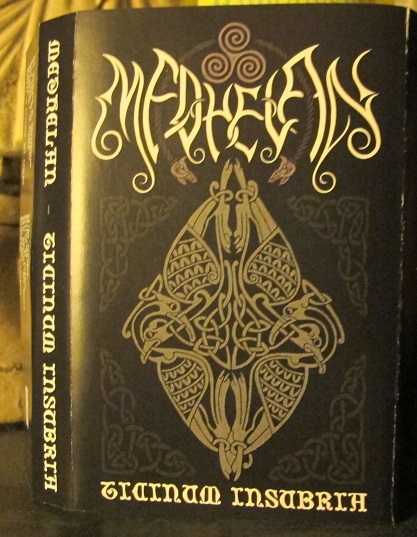 Medhelan is, at this point, most well known for his strictly dungeon synth albums. But, what first attracted me to his sounds was the combination, on several albums, of dungeon synth with dark ambient. Medhelan seems to have quite a good grasp on the spirit and formulae behind both of these genres, and his ability to casually meander between the two is noteworthy. Ticinum Insubria, the album in question for today’s review, was actually the first full length effort by Medhelan, releasing in early 2015. Ticinum Insubria would be the first of his pairings of dark ambient and dungeon synth. That year would also see the release of his EP, The Minstrel’s Fireplace Tales, which is strictly dungeon synth. Later that year, he released Nocturnal Wanderings, as the title makes obvious, its an album that is perfect for those late-night hours of insomnia, when the mind is floating between the realms of consciousness and slumber. 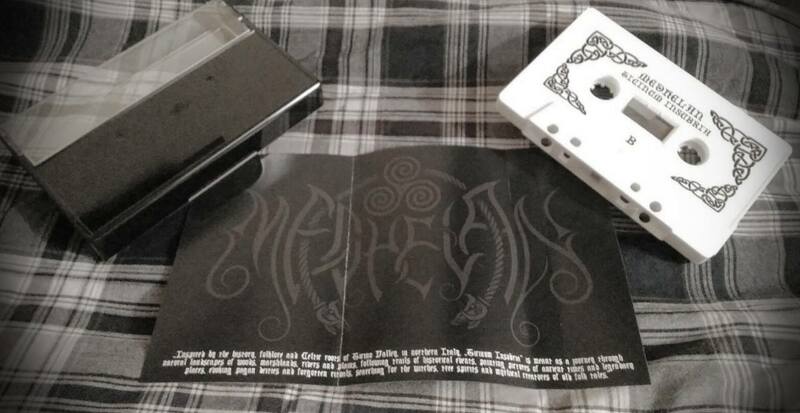 By October of 2015, Medhelan released A Crown of Ice and Stone, a split with winter synth master Elador. This was my introduction to Medhelan, as I’m a huge Elador fan. Though these releases were well enough received, 2016 would be the year that brought the name Medhelan to the “mainstream” of the dungeon synth genre. In July of 2016 Brusa released the album Fall of the Horned Serpent on Deivlforst Records. Anyone with a cursory knowledge of the present dungeon synth scene should be very familiar with Deivlforst Records. This album took his work in the dungeon synth genre to the next level, finding universal praise for his efforts among the dungeon synth scene, and quickly selling out the digipak version of the release. The cassette release of Ticinum Insubria, in 2017, gives us reason to travel back to the roots of Brusa’s musical compositions. Ticinum Insubria was actually written and recorded in 2007-2008, but it wouldn’t find its way to the public for almost a decade. This release is a brilliant example of how the genres of dark ambient and dungeon synth can mingle in perfect harmony, given the correct artist at the helm. While the album certainly leans more in the direction of dungeon synth than it does dark ambient, there are enough cross-over elements to warrant labeling it as both. Even if the dark ambient elements often lie dormant in the background, I truly believe this is the sort of album, if there ever were one, that could attract a number of dark ambient followers to the cause of dungeon synth. The opening track “Il Viaggio di Belloveso” (Bellovesus’ Journey) begins with field recordings of what sounds like a distant storm or maybe an incoming army. The synth slowly enters the mix in the form of a gentle drone. As the track unfolds percussion leads us into a combination of synth and guitar arrangements that give the feel of an adventure just beginning, which is portraying the start of the journey of Bellovesus. Bellovesus was a legendary Gallic king. Bellovesus, around the time of 600 BCE, invaded northern Italia during the reign of Tarquinius Priscus (616BCE-579BCE), the 5th king of the original Roman kingdom, which would soon afterward fall, being replaced by the Roman Republic, that legendary political order which would survival until its ultimate demise at the hands of Julius Caesar and his heir Octavianus (Augustus). This opening track gives us a very specific time and place, we know exactly what, where and when to have in mind as the rest of the album proceeds. After this first track, most of what follows focuses more on the depiction of moods and landscapes rather than continuing with any specific narrative. We are able to imagine the places encountered by Bellovesus and his army as he makes his way south into the Italian peninsula. We can feel the emotional effects of his journey, some times serene and reflective, other times nefarious and bellicose. “La Luna e il Fiume” (The Moon and the River) is a track that brilliantly showcases the dark ambient/dungeon synth crossover capabilities of Medhelan. A great rumbling field recording sets the foundation and mood, while various synth sounds are used to build a narrative atop this base. Again, the track is most definitely dungeon synth, but the use of dark ambient elements, by way of the field recording and a slowly moving violin-like synth/drone element, deliberately work together with the other synths to form a track which is full-bodied and highly atmospheric as well as entertaining. “Oltre il Cerchio del Tempo” (Beyond the Circle of Time), the track exclusive to the cassette release, is one of the more relaxing and reserved compositions on the album. It features subtle percussion and a repetitive synth arrangement which come together to give the listener the feeling of relaxing in a deep lush forest, watching the birds soar above, as a babbling brook meanders through the thick of the forest. The track title gives us the idea that Medhelan may intend for this to be a time for thinking of more lofty concepts, the greater meaning of life, our place and role within the galaxy, etc. The 2017 cassette release of Ticinum Insubria was self-released by Medhelan. Yet, the craftsmanship of the release meets or exceeds that of most dark ambient and dungeon synth tape labels. The cassette itself is beautifully presented in white with a sticker on both sides which perfectly captures the Gallic elements of the release. The cover of the j-card features alternate artwork and a logo created by Dan Capp, an artist well-known and revered within the dungeon synth community for his work on the majority of the Deivlforst releases as well as many of the later releases of Burzum to name a few. The j-card folds-out to reveal a larger logo and the following text, which helps the listener to better understand the theme of the album. Inspired by history, folklore and Celtic roots of the Ticino Valley, in northern Italy, “Ticinum Insubria” is meant as a journey through natural landscapes of woods, marshlands, rivers and plains, following trails of historical events, painting pictures of ancient times and legendary places, evoking pagan deities and forgotten rituals, or searching for the witches, tree spirits and mythical creatures of old folk tales. As I’ve already mentioned, this is the perfect release for dark ambient fans that have been looking for a good introduction to the quickly growing genre of dungeon-synth. There are many branches of the genre that deviate from those introduced by Mortiis back in the early 90s. This is but one of those branches, yet it is surely a highlight amongst its peers.